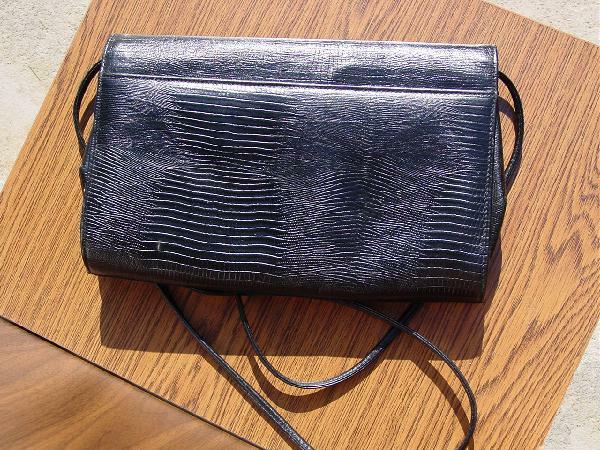 This vintage black leather lizard print embossed purse has a black leather interior with two sections. There is a zipper pocket with fabric lining in one section. It has an envelope styling with a magnetic closure. 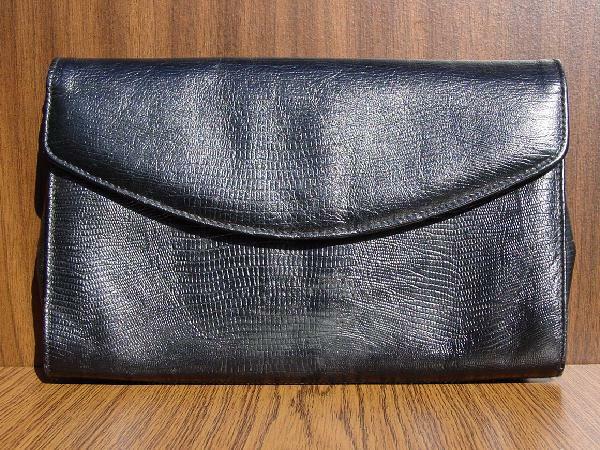 There is a 51" shoulder strap which can be untied (or tucked inside) so you could carry it as a clutch. It also has a back compartment. It was used in a magazine photo shoot with a vintage Givenchy dress, a black vintage overcoat, a long Burberry scarf, the Palizzio lizard shoes and the black lizard belt.